1. It's December 8. How many chocolate Advent Calendars do you think is too many to have opened and eaten already. Mmmm.....I kind of thought so. 2. I was just talking to a guy from the removalist company regarding my parents move. Our conversation got off track and we started talking about things other than moving house. He told me his divorce was far more stressful than moving house and he will never go through that again. He said he recently got engaged and is positive it will be his last wedding. Why? During his first wedding ceremony the Celebrant kept calling his wife to be Kylie instead of Kelly. Even when he corrected her she kept calling her the wrong name. No points for guessing his new fiancees name. Yes, it's Kylie. He thinks it was a sign. I have my fingers and toes crossed for him. 3. Thanks Tashabud for sending me this picture to remind me that some things look better old and grey. Ahhhh......George... how you've changed. 4. This I do not understand. If Julian Assange (Wikileaks) is being given information and publishing it, why is he regarded as a criminal when every other major newspaper across the world is doing the exact same thing. Isn't the US Government (with the support of western governments) trying to shoot the messenger instead of trying to stop the leaks from within their own administration? Plus, after reading some of the documents I'm not sure it is that much of a surprise or the kind of information which could start wars or result in the loss of life. It's just embarrassing because of the scathing personal attacks made on foreign politicians that were never meant to see the light of day. I am sure it will take a while for some relationships to mend. We have all been guilty of that I am sure. Personally, I would be much prefer to see some leaks coming out of Iran or China...now that would be interesting. 5. This is where I will be spending Easter 2011 courtesy of Richard Branson. My daughter won a trip for two to Hong Kong courtesy of her .....Mother. Remember I told you how I take 5 mins or so every once in a while to enter online competitions (for Aussies out there, visit http://www.winfreestuff.com.au/) well I put an entry in for her. I think she felt obliged to take me along. I can hardly say no, can I? Wikileaks is obviously uncomfortable for most governments. But from a voters perspective it's such a healthy thing to have the real truth out in the open free of spin. Save Wikileaks! @ Rhonda - woo hoo where have you been too? Glad you are back! @ Simon - Well governments should be more focused on their internal security and this wouldnt be an issue at all. I am all for freedom of speech except there is a line you can cross if not careful and that is where it gets a bit fuzzy. WOW! To win such a trip...FABULOUS! Maybe you will win one to Los Angeles one of these days...lol! I can only hope, my dear....! Thanks for the Visit and your always kind and encouraging words! So glad you enjoued those Museum posts...! That's wild about Kylie and Kelly! I wonder if he will have the same Celebrant for his wedding with Kylie? 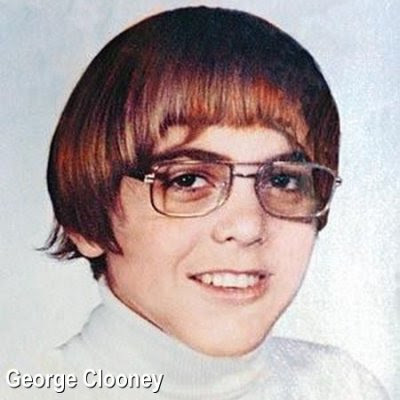 Ok, I would NOT have recognized that as being George Clooney. I agree - China and Iran would have more interesting leaks. The US government constantly plays 'big brother' to its people and now it's getting a taste of someone watching and dishing out info on the government. I think it's ironic and a good dose of what they do to everyone else! 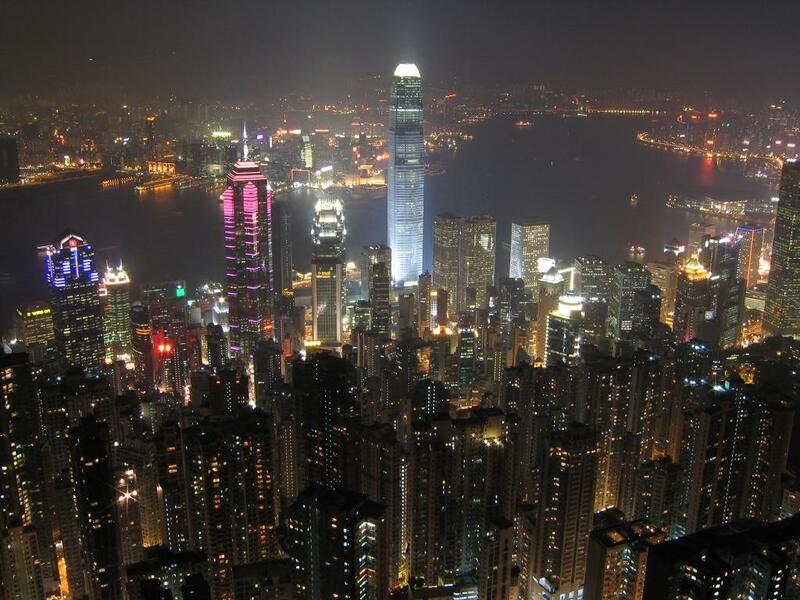 OMG - how awesome that you're going to Hong Kong!!! Congratulations on the win and the upcoming trip! congrats on winning - do you have any good lotto numbers? We have the freedom of information act and it is used. However there is a need for some secrets. Everyone should know with any doubt there are groups out there wanting to kill and disrupt whole societies. Some of the discussions about the wikileaks guy describes him as an anarchist. I agree. But there are other anarchist who will support him. I think it's the wrong way to go. BTW - this type of post is a perfect post for Friday Fragments by Mrs. 4444. What is shocking is the extraordinary scale of the leak - more than a quarter of a million documents. Extravagant demonisation of Assange and the leaks only makes them more exciting than they are. Is it really a story that American diplomats think Silvio Berlusconi is a skirt chaser or that Kevin Rudd was a control freak presiding over a chaotic, dysfunctional government? It would be amazing if they had reached any other conclusion. American politicians might use their time more productively working out how a 23-year-old army private had access to so much confidential material and was able to copy it and hand it over to WikiLeaks. The long-term damage from the leaked cables is likely to be that it confirms that despite spending billions on security and the war against terror, the US government is unable to preserve the security and confidence of those it deals with around the world. It will take a lot of reassurance before the chilling impact of these leaks wears off. As to the contents of the cables, the material seems to me to fall into three categories. There are the many penetrating glimpses of the obvious such as those relating to Berlusconi and Rudd. I could not imagine Australian legal principles justifying a ban on the publication of that material. There are some cables with information that is not surprising but the publication of which is diplomatically damaging, such as the report that Saudi Arabia had urged America to attack Iran. Although I should note that this cable was received rapturously in Israel! One can see the argument that this sort of material should not be published, but I doubt whether a newspaper would resist the temptation to print it or that a court would injunct it. "Sarah Palin says Julian should be hunted down like Osama bin Laden--so he should be safe for at least a decade." Way to go on the trip, what fun you and Jordan will have. I love Hong Kong and think about all the shopping. Hong Kong!!!!!????!!! Awesome. What a great win. Congratulations. And is that seriously George? Yikes. People should focus on Bradley Manning, the supposed leak of all this info. The US government is behind at least SOME of this. There is no way this low man on the totem pole, Manning, had that kind of access. Obama is desperate to pass Net Neutrality. It is a scam that will result in the US gov being able to (attempt to) control the internet (i don't think he realizes what that would entail!) in the USA. Obama said there was "too much information" available to citizens! WHAT? This is the perfect excuse to take that control. There is just NO WAY this low ranking kid gave Assange all this info. There's a LOT more to this story. Oh wow! Lucky, lucky YOU! And your daughter, of course. Have a terrific time. Your Kelly/Kylie story is really incredible! I hope he's got the right one now. That's George? Good gosh! Yes, he did age very nicely! I agree with you, Lilly. Clooney looks better with greying hair. Congratulations to you and your daughter going to Hongkong by winning a sweepstakes! Real people actually win on those sweepstakes then, eh? Good that it's happening to you and your daughter. Woohoo! Wow!! I like George old and gray too! I tried to comment on the Hallelujah Chorus post, but it looked like comments were off. That was wonderful! I found another video taken at a food court in a mall of the same song. Wonderful!!! I love Julian, he rocks!!! I've never seen that Hallelujah video. Wow! I don't see Honolulu on the list. Shucks! That is so cool! Fingers crossed for you that the Aussie $ doesn't collapse anytime soon! There was no place to leave a comment on your post about Random Acts Of Culture....I LOVED That! I hadn't seen this one, but I hsve seen quite a few other Videos of other "happenings"...I agree with you. These are FABULOUS!!! I agree entirely with you about WikiLeaks - few surprises. I do think it's important that "private" conversations remain private or no one will EVER tell the truth even to theri friends, but that's a matter for the security guys to be unbelievably embarrassed about - utter failure wouldn't you say?